Walking the streets of Pompeii, we felt the stirrings of the community as if it were alive. We watched herds of bus tours rushing through as we savored an individual experience with Emiliano & immersion into life 2000 years ago. 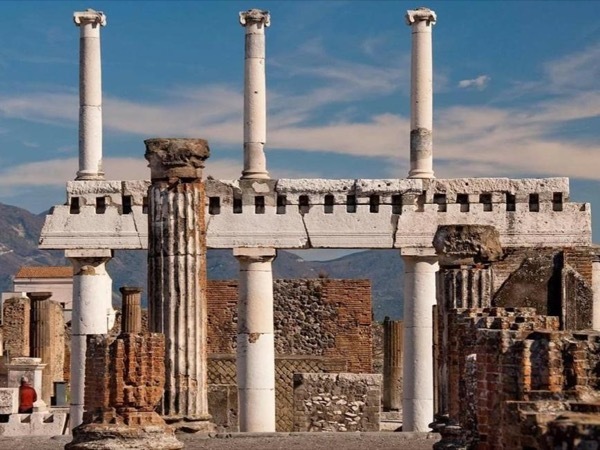 Who better to guide us than an Archaeologist who grew up playing hide-&-seek in Pompeii's ruins! Sorrento was beautiful- a gem & not to be missed. Our driver helped guide us to a fantastic restaurant & the walking tour of Sorrento gave us a taste of its charm. Molte grazi! !